Nice idea for a dreary day. You inspired me to go out and make a harvest. Hyacinths for the bedroom (they smell almost like COOKIES) and daffodils for the kitchen (maybe they’ll inspire me to clean up the mess from the COOKIES). 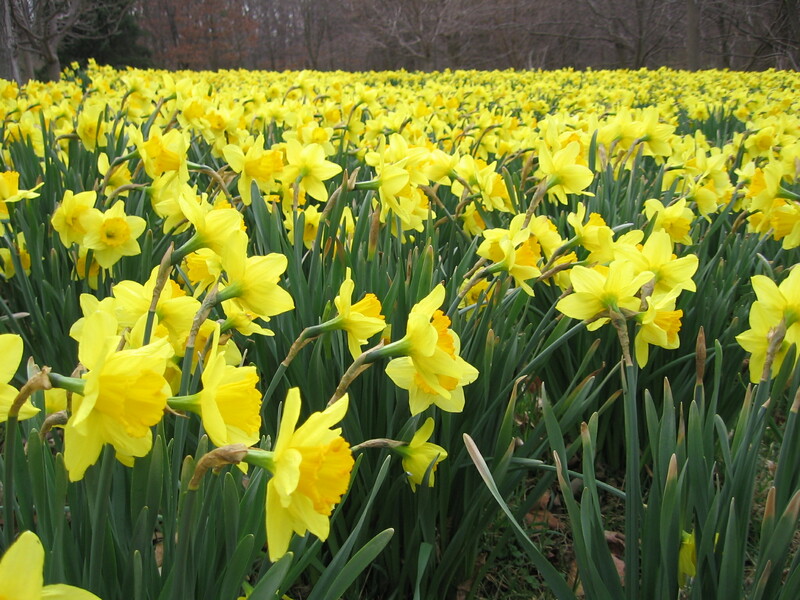 Most of the year, my front yard looks like the gates of hell, but right now, it’s a sea of daffodils.